As part of a strategy to combat knife crime, British police have been given more extensive stop-and-search powers in the six areas where knife crime has been most prevalent. Reaction has been mixed. Many police officers have welcomed the powers as a much-needed tool; however, others argue this is not only ineffective but may increase mistrust in the police while overlooking root cause of knife violence. 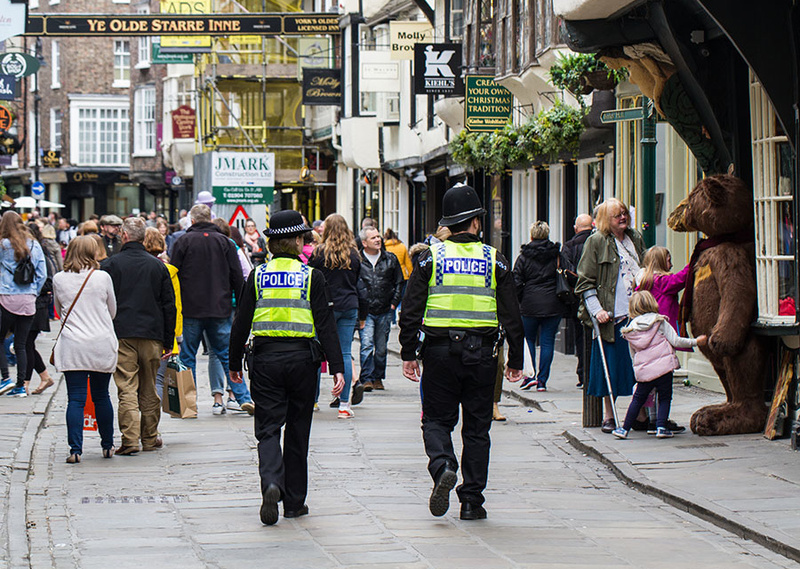 There is little data analysis to support or reject either position, but research conducted by the College of Policing has set out how stop-and-search could be beneficial. Incapacitation – Crime may be reduced if an officer arrests an offender as a result of a search and the offender is unable to commit further offences while they are in custody. General Deterrence – Crime may be reduced if people decide not to commit offences because they perceive the risk of detection is too high. Maintenance of Order – Crime may be reduced if members of the public feel empowered to assert informal social controls as a result of stop and search, challenging the signs of disorder in a community. Voluntary Compliance – Crime may be reduced in the longer term if offenders and other people decide not to commit offences because, as a result of fair decision-making and respectful treatment by officers during stop and search, they see the police as a legitimate institution and feel they ought not to break the law. However, the College also points out that outcomes would be reversed if stop-and-search is seen as unfair and targeted. It concludes that evidence is inconsistent whether stop-and-search has a “meaningful deterrent effect” to reduce knife crime. Given little evidence to support either position, we have to construct a theory by extrapolating from the past. A 2014 review – when stop-and-search decreased in England and Wales – found that misuse of these powers undermined public trust in policing, particularly among minority ethnic communities who felt disproportionately targeted. The effect was a failure to deal with problems around violence in society because of the lack of trust between law enforcement and the community. There is also the issue of constitutional protections, even if there is marginal deterrence from increased-stop-and search. Many of the protections that citizens enjoy in robust democracies may make it more difficult to “clear up” crimes. These include the right to silence when arrested, security from unreasonable searches and seizures, the presumption of innocence, and the high evidential threshold used in court proceedings. These may make it harder to convict someone of a crime, with some culprits going free. However, these rights serve a higher purpose by allowing people to live without the fear of being arbitrarily asked to account for themselves. It is easy to forget that many parts of the world do not have the same basic rights that we often take for granted, and citizens live in fear of arbitrary arrest and trial by State machinery. We must take care not to backslide on our constitutional safeguards, or we risk curtailing our right to be left alone with little benefit from increased State authority. Police should handle increased powers with caution. Given the extreme pressure to be pro-active in the face of increased knife crime, officers must respect constitutional rights and maintain the trust of the populace.